Let people find you! Add a comprehensive True Local business listing to reach the millions of people that visit True Local every month*. True Local receives on average, 3.1 million unique visitors, 14.3 million page views and 3.3 million searchers per month* – that’s a lot of eyes looking at True Local! It’s FREE! So why not add your business today?! Search to see if your business is already listed. If it is, you can claim ownership and manage your True Local business listing. If you can’t find your business, click the (+ Add Business) button. You will be prompted to create a True Local user profile (this will be your log-in account to manage your business listing). Add your business details including name, address, website, and business category. Submit. Our moderation team will check the details you have submitted, so it may take 48 hours before your listing appears in our search results. What makes a good business listing? 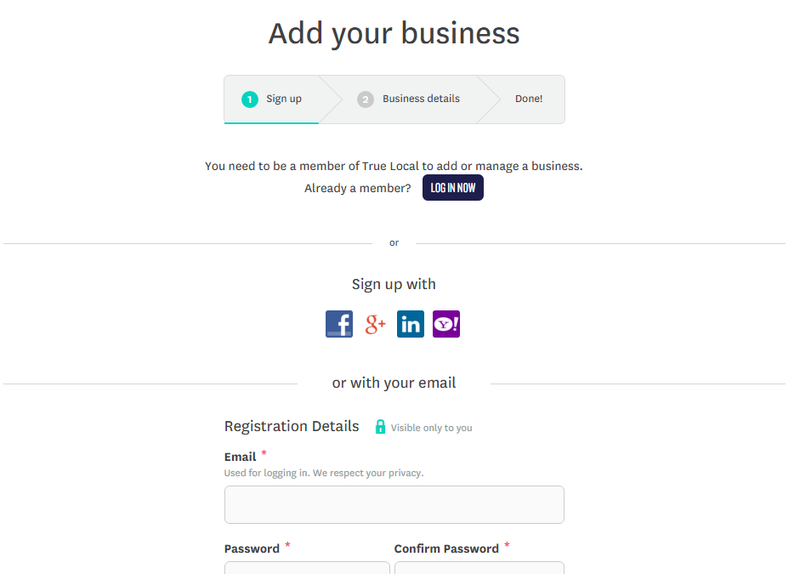 Add your business to True Local to get started!